Ours is a story of passion, creativity and professionalism all working together in synergy; to create the entity known as Xclusive Cakes. quality cakes, made from scratch. Extraordinarily designed to create an edible masterpiece. Professional training in the field of food technology and engineering, coupled with years of experience/talent in baking, cake designs and decorating. Fabulous handcrafted 3D sugar sculptures, 2D sugar plaques, sugar flowers -all made from sugar (gumpaste). All inclusive and intensive trainings. 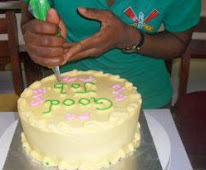 Aimed at helping others to improve their skills and master the art of baking and decorating. 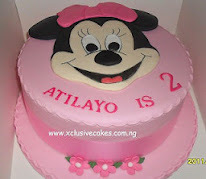 Our dream is to raise "intelligent cake bakers & decorators". With our sugar art school providing all that is required (tools, equipment, materials and resources), we offer a convenient and conducive learning platform. No need to bring anything along, even a pen!